I can finally say the “A-word” now: ALLELUIA! Jesus Christ is risen! In honor of Easter, I’d like to share five quotes/paraphrases I’ve been thinking and meditating about a lot lately; these words summarize my Lenten journey this year, but I think, also my life journey. I’ll throw in my own thoughts about each one, in this and the next few posts. As some folks in my life know, I’ve spent a lot of time lately pondering some big-picture questions: who am I? What was I made for? Where am I going in life? What is God calling me to do, to be? What is my vocation? Am I called to find, marry, and become husband to the love of my life and become a father to a few beautiful children? Am I called to the priesthood or religious life, to become a husband “in persona Christi” to the Church and become a spiritual father to many beautiful children? How is He answering me in the world around me, in my thoughts, in my feelings (crap, not the f-word…:-P)? Am I living my life in a manner that brings me closer to God, that make me more holy each day? Sometimes searching for answers to these questions can get overwhelming, and even frustrating, but then these words of Bl. Pope JP2 settle me down: these questions, though important, are intended to help guide me to better live that purpose that we were all created for – we were created by Love itself in order to love and be loved! 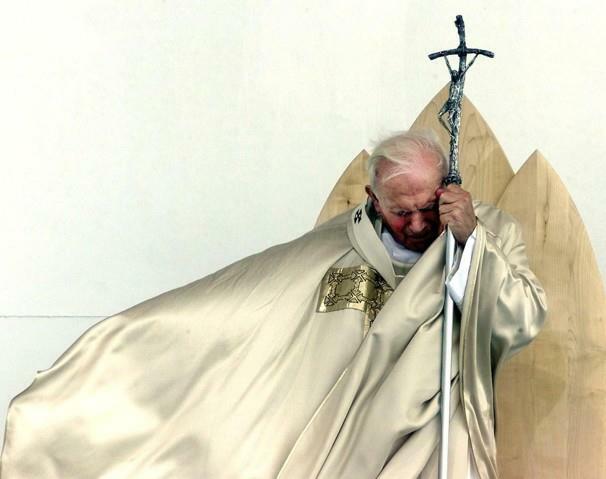 The love JP2 speaks of here isn’t just the emotion or the warm-and-fuzzies, but rather that deeper, fuller meaning of love known as agape: an act of the will that consists of the lover preferring the good of the beloved, even before the good of him/herself. Christ told us that the greatest commandment was to love God with all our hearts, minds, souls, and strengths, and to love our neighbors as ourselves. Then by his life, death, and resurrection, He told us “I’ll show you how to do it”: being perfectly loved by and perfectly loving the Father, and being imperfectly loved by humanity yet still choosing to perfectly love humanity – dying on the cross to wash away our sins, and rising from the dead to give us hope in new life with Him! See Part 2 here. See Part 3 here. See Part 4 here. See Part 5 here.